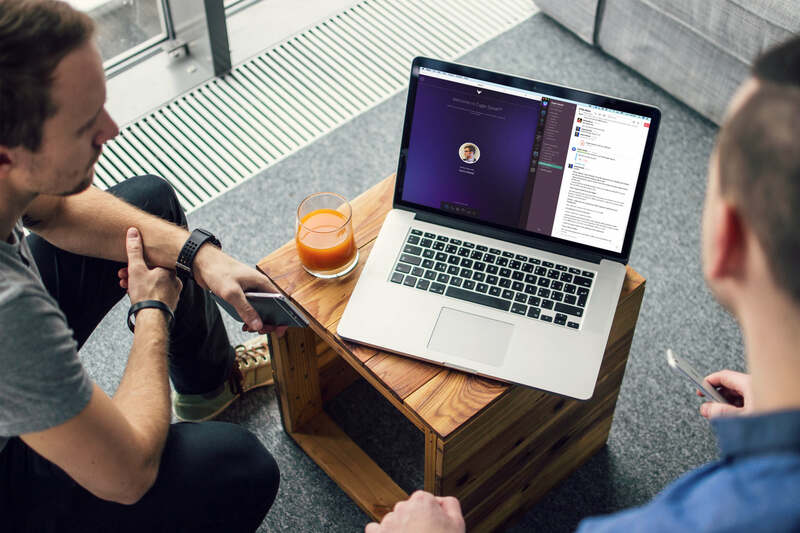 share files, video conference or live screenshare with Eagle Speak. 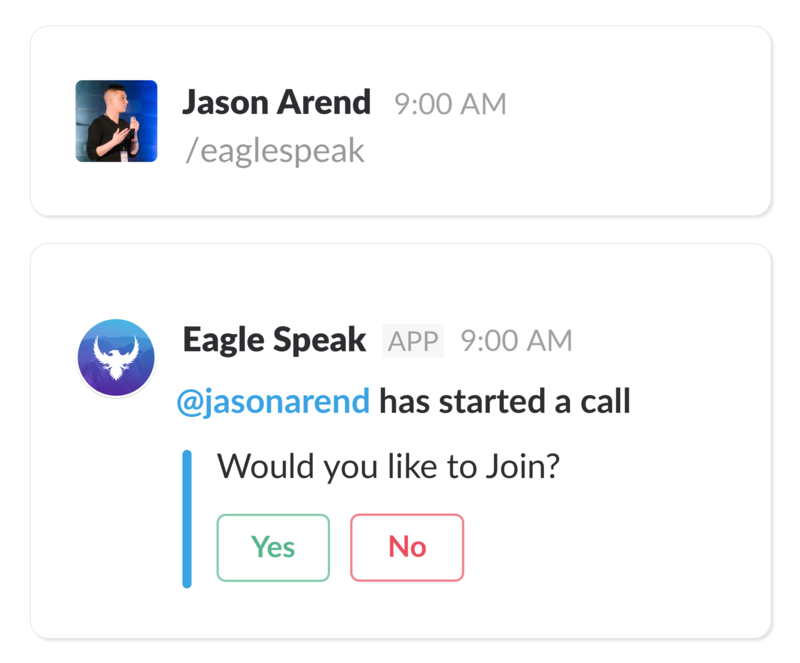 Using Eagle Speak in Slack is so simple that you only need to remember one thing... Type /eaglespeak to invite someone to a call...That's it! After someone types /eaglespeak in a channel all anyone has to do is join the call to start talking, share their screen, video conference and more.